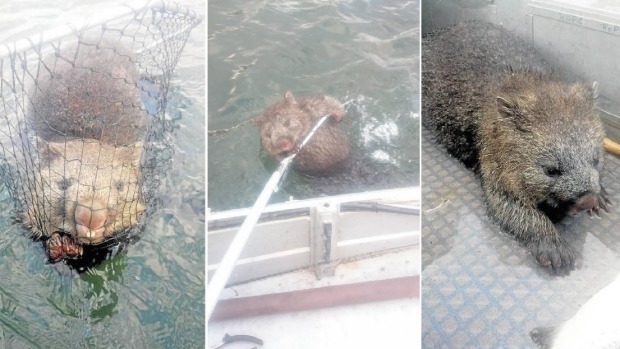 Two men out on a lake in Tasmania made the catch of a lifetime last week — one that saved the life of a furry wayward swimmer. 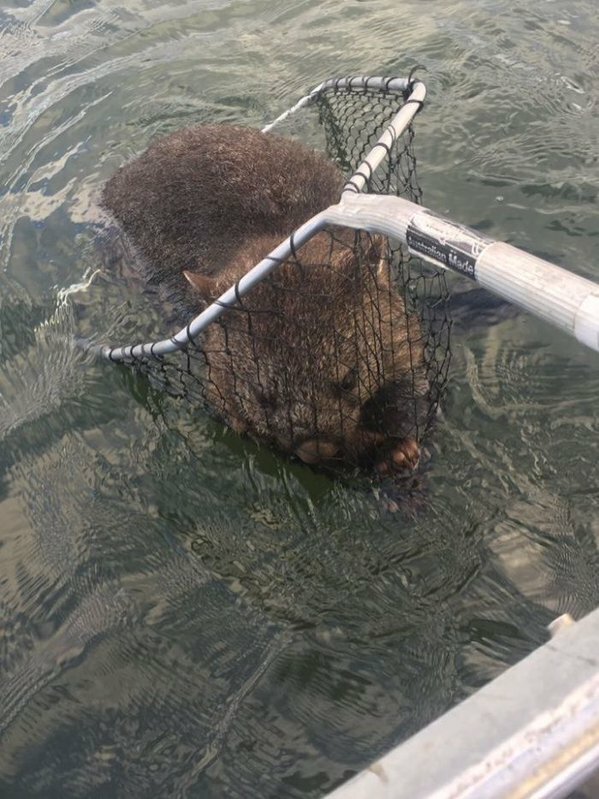 Craig Wilson says he and his stepfather, Bob Wilton, were fishing from their boat when they spotted a wombat paddling his heart out after somehow ending up far from dry land. While these iconic Australian marsupials are known to enjoy the water on occasion, this particular fellow seemed to be having a hard time simply keeping his head above water. "The wombat was trying to stay afloat above the water, we thought it was a platypus because we could see the fur," Wilson told The Advocate. "He was about 250 meters offshore when we found him, he was definitely struggling." Fearing that the wombat would certainly perish if they did not intervene, Wilson and Wilton reached for their fishing net and scooped the animal up. Footage from the rescue shows the near-drowning victim clinging to life, visibly exhausted after his death-defying ordeal. The fishermen were able to lift the wet wombat into their boat, after which they gave him a lift to shore and released him. According to Wilson, he was last seen "on his merry way and [strolling] back into the bush." Responses to "Fishermen Save A Drowning Wombat, Give Him A Lift To Shore "